QOTW: Are you a big winner?! 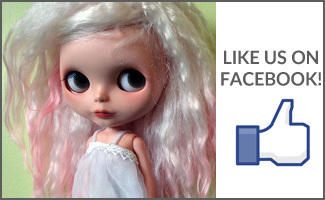 QOTW: Who wants to win the BlytheLife Holiday Giveaway?! March 2016 Commenting Giveaway: The Winner! 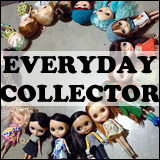 Wabi-Sabi Dolls Giveaway: The Winner! Dolly Cupcake Giveaway: The Winner! Easter Egg Hunt: The Winners! 500 Likes Giveaway: The Winner! An Impromtu Giveaway: The Winner! Violet Poppy Dress Giveaway: The Winner! A Surprise Giveaway: The Winner! Orchid’s Designs Gift Pack Giveaway: The Winners! Little Curls Re-root Service Giveaway: The Winner! 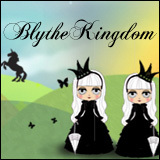 Blythe Happy Giveaway: The Winners! Endangered Sissy Giveaway: The Winner! A Surprise Birthday Giveaway: The Winner! Blythemia Hat Giveaway: The Winner! QuenneDoll Sweater Giveaway: The Winner! ThriftyDoll’s Face-Up Giveaway: The Winner! BlytheStar Dress & Necklace Giveaway: The Winner! Sew Do Something Dress Giveaway: The Winner! Made by Pablita Dress Giveaway: The Winner! Dream Come True Giveaway: The Winner! cocochoo Custom Faceplates Giveaway: The Winner! Moofer’s Handpainted Eyechips Giveaway: The Winner! Kayla’s Handpainted Dress Giveaway: The Winner! The Helmet Factory Giveaway: The Winners! Cardigan by chelleshocks Giveaway: The Winner! GBaby Handpainted Eye Chips Giveaway: The Winner! Surprise! A Flickr Pro Winner! Luxie Lou Designs Dress Set Giveaway: The Winner! Chicki.co.uk Giveaway Prize Pack: The Winner! Pamplemousse Fabric Giveaway: The Winner! Smidge House Sofa Giveaway: The Winner! A Blythe Holiday Giveaway: The Winners! A Blythe Holiday Giveaway with Carmen! Melly Kay Custom Blythe Giveaway: The Winner! Keelie’s Customization Giveaways: The Winners! HauteCute.net Necklace Giveaway: The Winner! Milk-Tooth.com & Parasol Doll Dress Giveaway: The Winner!